Dr. Sandler’s office, where he says patients are educated about all of the eyewear that can better their lives, after first receiving that message online. 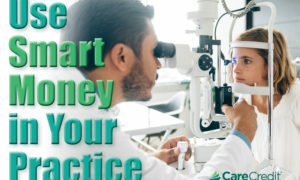 Prescribing from the exam chair, and perfecting the optical handoff, is only half the equation in capturing optical sales. The other half takes place before the patient even gets to your office–in the online research they do before arriving. Offering products of differentiating quality, like those produced by ZEISS, and showing the kind of quality eyewear online that you can deliver, can boost your capture rate. 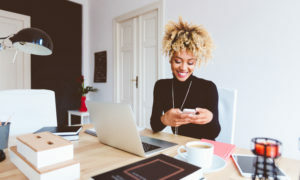 The communication that begins online to gain the patient’s initial interest is capped off by an in-office experience that delivers on the online promise. The right optical partners make it easy to create a powerful bridge between your online promotions and your in-office experience. These i.Demo programs are on all of Dr. Sandler’s computers in the optical and exam rooms. 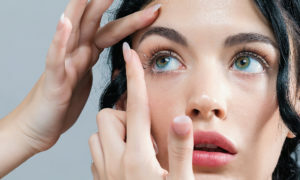 Dr. Sandler says showing patients the difference a high-quality spectacle lens makes can help capture sales. When new frames and lenses come out, we show them on our practice web site, so patients know we have the latest in eyewear. For example, when ZEISS’s DriveSafe lenses were introduced, we showed patients how these lenses could benefit them during visual challenging situations while driving in rain, fog, dusk and night-time glare. If you have strong optical partners, like ZEISS, you don’t have to reinvent the wheel in promoting your optical’s products online. For instance, on our practice web site, there is a link to click on that shows all the ZEISS products we sell, what those products do to enhance our patients’ vision, and how we incorporate the ZEISS experience in the use of ZEISS’s i.Scription® lens technology system. We show on our site how the system ensures each patient an optimized individual vision solution. These dispensing mats are on all of Dr. Sandler’s patient-optician consulting/dispensing tables. Dr. Sandler says it’s important to include reminders throughout the office of what differentiates you from competitors. In the exam room, I prescribe not just products, but trusted brands and technology. 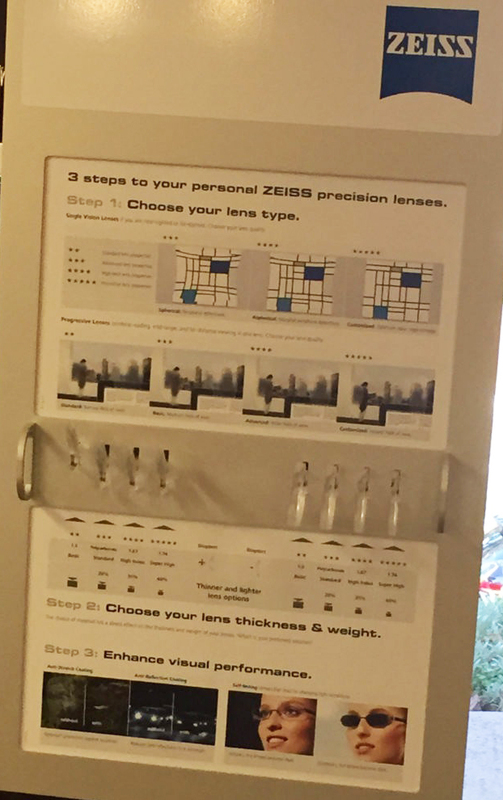 I explain how the prescription I write for ZEISS lenses, designed to be created using the i.Scription system, can’t be filled online, and how the prescription that I offer them, using this advanced technology, is superior to a traditional, non-customized prescription. 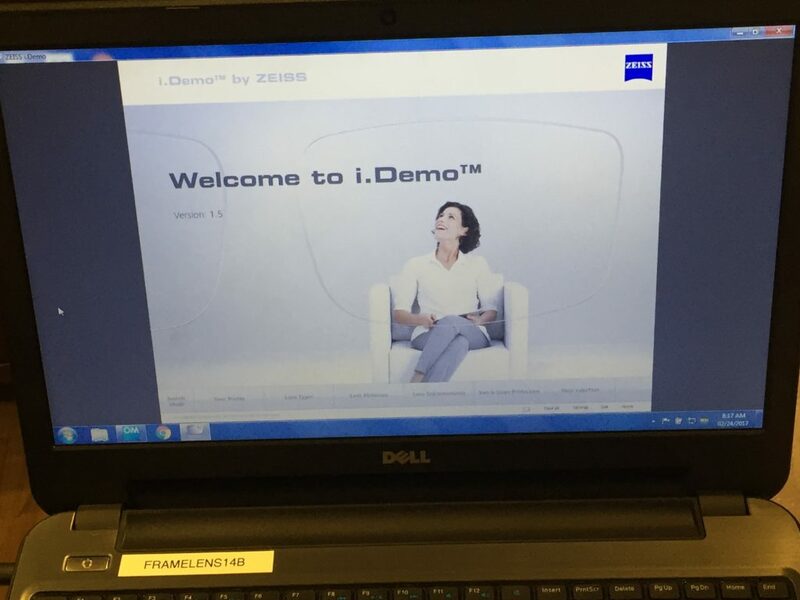 I also have ZEISS demo technology on my exam room computers, so I can click on the demo to show patients how the DriveSafe lens enhances the patient’s vision in challenging conditions, such as fog and heavy rain. 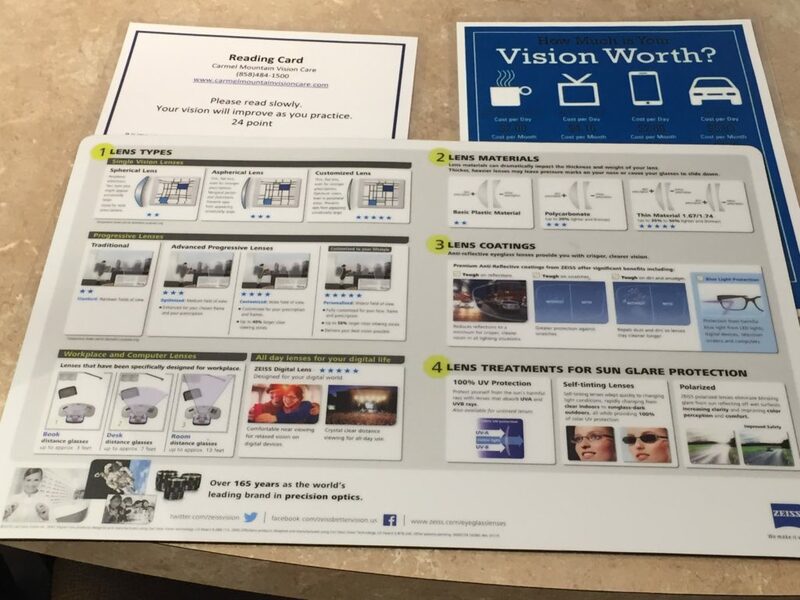 We have this same demo technology on computers in our optical area, so opticians can reinforce my prescription and enhance patient education. The eyewear product I am able to start creating in the exam caps off the in-office experience, which the patient first got a taste of online. ZEISS i.Profiler® digital measuring technology in the exam room allows me to measure high- and low-order aberrations in the patient’s vision, does corneal topography and gives an auto-refraction. This technology allows me to show the patient the difference between low-and high-order aberrations, enabling me to show the patient a simulation on my exam room computer of how these aberrations affect vision, and how the glasses I create for them will take these aberrations into account to give them the most optimal eye sight. An educational display in Dr. Sandler’s optical area. Dr. Sandler says it’s important to provide materials to help opticians close the sale that began in the exam room with your prescription. After we deliver a complete pair of eyewear to patients, we have a conversation with them to make sure they are 100 percent satisfied with the glasses, and with the personalized experience they had with us. If they are, we ask them to share their experience on Yelp or Facebook. 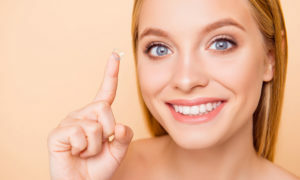 We provide links on our practice web site that patients can click on after their visit to easily post a review, and spread the word about why others should give us a try.